It can be hard to find effective elbow pain treatment in Wexford, Pennsylvania, and you may have been searching for help for a while. However, your search may be at an end thanks to a team of great physical therapists located near you. Our team at Panther Physical Therapy is proud to serve the residents of Wexford, Pennsylvania. Ever since we opened our doors in 2003, our team has been committed to offering you the best possible physical therapy. Our treatments are all based on the idea that every person and condition is unique. This is why we always create a personalized therapy plan for you. One type of therapy plan that we’ll personalize to your needs is an elbow pain treatment plan in Wexford, Pennsylvania. One reason that our Panther Physical Therapy team is able to provide you with personalized elbow pain treatment in our Wexford, Pennsylvania office is that we have many therapies at our disposal. One therapy that we may include in your therapy plan is electrical stimulation. Electrical stimulation is a therapy method that uses low-power electrical waves, and we use this therapy method because it may provide you with several benefits. When our team is using electrical stimulation on your elbow, we’ll go through several steps. First, we’ll attach electrode pads around your elbow to allow the electrical waves to enter your soft tissues. Then, we’ll attach wires from our electrical stimulation machine to the pads. Finally, our team will then turn the machine on to create the electrical waves that are so important to this treatment method. By going through the process of electrical stimulation, our team may be able to help you achieve several benefits. For one thing, the electrical waves may help to block pain receptors in your elbow muscles. These waves may also encourage your body to produce more pain-relieving endorphins. Both of these actions may help to relieve your elbow pain. Our electrical stimulation treatments may also provide you with other benefits. For instance, they may help reduce elbow muscle tension. These treatments may also increase blood flow to your elbow and promote healing. 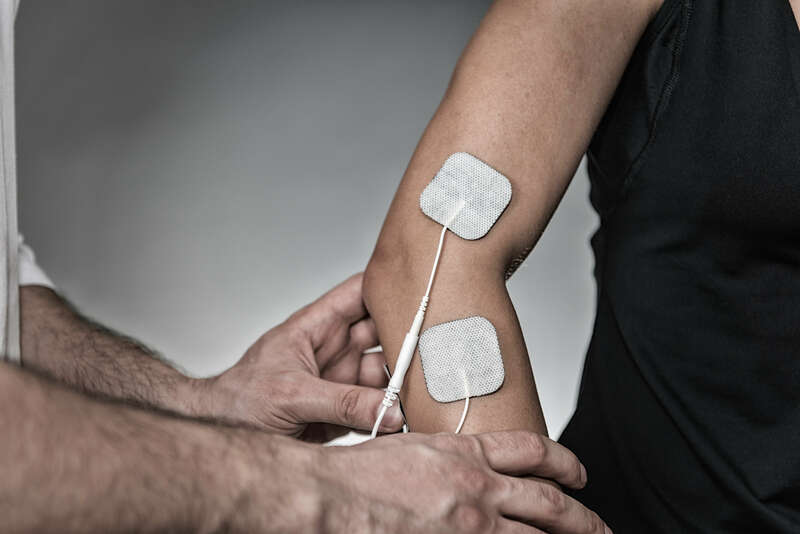 Electrical stimulation is just one of the therapies that we may use in your elbow therapy plan. However, the benefits of this therapy method pale in comparison to getting started with your therapy when you first feel elbow pain. Are you ready to start your elbow pain treatment in Wexford, Pennsylvania? Contact our team today for more information or to schedule a free 15-minute screening.